Well, Heather made it off with her friends to road trip up to Fort Collins this morning to a scrapbooking mecca known as The Treasure Box … after a pit stop at Starbucks, of course. The boys and I are planning on getting out of the house so we don’t catch cabin fever in the rain and chill today. We just got an email from Grandma & Grandpa Harrell about a wild turkey that visited in the back yard yesterday. He was really big and he walked very fast. 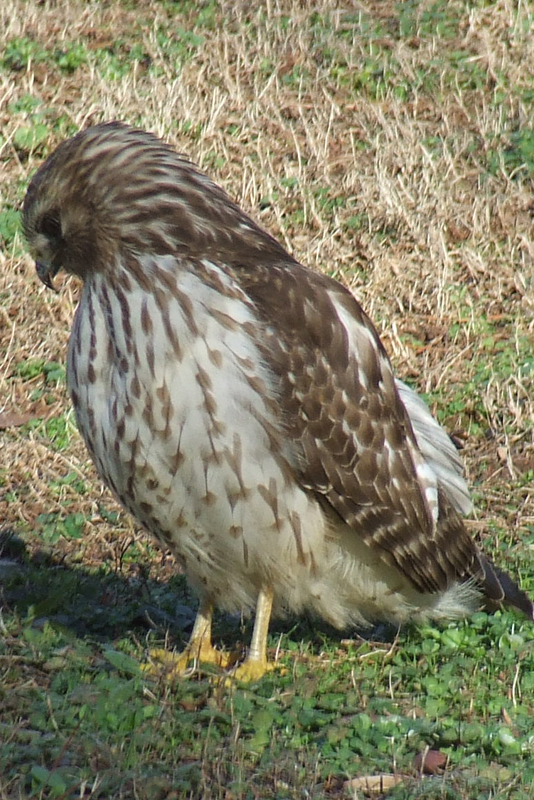 There was also a hawk that spent about three weeks in their back yard in January. They said he grazed in the grass in the early mornings and late afternoons. The rest of the day he sat up in trees or flew back and forth from the front yard to the back yard. I wonder what kind of fowl will show up next?